Have you ever rolled the dice in a game of Monopoly, taken over the board, and wished that this could be a real-life situation? Well, the truth of the matter is that this kind of monopoly, also known as a conglomerate, exists everywhere. 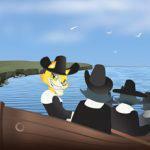 The only catch is that you’re on the losing side of this game. In Sin City, it holds true because a few giant companies own a majority of the Las Vegas casinos and resorts you may visit. If you want to get the biggest bang for your buck, then you have to first learn about what it means when a larger company joins smaller businesses together into one corporate interest. Only then can you decide for yourself what you need to do when laying down your bankroll on a tricky game of craps or a risky roulette bet. 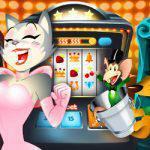 Play Las Vegas Casino Games Online at CoolCat Casino! How do land-based casinos form trusts? If you’ve ever won a game of Monopoly, then you understand the basics of how a company can create a conglomerate. A conglomerate happens when multiple companies join together into a group that represents different businesses and can take on an entire industry as a single body. Las Vegas is a perfect example of this business strategy, because a single company owns multiple different resorts and casinos under a single name. More often than not, this type of industry titan can form when a single, well-off company decides to invest in other properties – regardless of whether or not the investment falls under the same business category. When these new investments do well, the parent company has an increased amount of capital to put into other investments, allowing its empire to grow. If allowed to continue unchecked, these conglomerates can turn into de facto monopolies, which is when a single company has control over an entire industry. Why is this bad for Las Vegas casinos? In a place like Las Vegas, a monopoly of casinos and resorts means that the company’s income can grow exponentially, but at the expense of the customer. More specifically, if all Las Vegas casinos and hotels are owned by a single company, then they can all raise nightly rates at the same time. By eliminating any competition in the market, these companies can charge you an arm and a leg and there’s nothing you, the customer, can do about it. The outcome could have even more treacherous results for gamblers looking to enjoy a stint in land-based casinos. If a single corporate interest controls a majority, if not all, of the casinos in Las Vegas, then who would prevent them from significantly lowering the return to player (RTP) all across the board? A monopoly on gambling establishments could lead to changes which could drain a gambler’s bankroll before they even set foot on the casino floor! One of the scariest aspects of a conglomerate affecting the gambling culture in Las Vegas casinos is the fact that it’s already happening. If you’ve ever driven down the Strip and noticed some of the most famous casinos and resorts in the world, you may be surprised to find out that more than a handful of them are owned by a single corporate interest. MGM Resorts International owns popular resorts all over the world, but some of the most famous Vegas destinations include: Bellagio, Aria, Excalibur, Luxor, Mandalay Bay, MGM Grand, The Mirage, Monte Carle, and New York-New York. The possibility of a conglomerate takeover of what is considered the epicenter of the gambling world is no longer a distant consideration, it’s imminent and currently in motion. The company’s influence is so far-reaching and its pockets are so deep that MGM Resorts International is making its presence known all over the world. It is reaching its fingers into international casino and resort markets as well, such as in Sanya, Hainan and Macau, as well as in Abu Dhabi. MGM Resorts International is already a titan in the casino industry, and it will only grow as time passes. Conglomerates formed in the casino and resort industry can have a noticeable and lasting impact on gamblers all over the world. But their influence can only reach so far. As a gambler, you can choose what kind of establishments you invest your bankroll at, and with a little research you can completely avoid the inflated rates and diminished RTP often offered at Las Vegas casinos that are a part of a monopoly. Take your business to a trusted online casino, and you can easily get the biggest bang for your buck! Online casinos offer better rates and more static business strategies for their customers, not to mention that the overhead costs associated with running an online casino fall far below that of a traditional brick-and-mortar gambling establishment, passing the savings on to you in the form of bonuses, free chips and spins and more. You can also make certain that your money is well spent and that the online casino maintains good business conduct based on their reviews and certifications. It is difficult to pin legislation on a casino that is not specifically based out of any city, county, or even country. So, these online casinos will often voluntarily submit themselves to testing conducted by third party accreditation institutions. They do this to offer some peace of mind for their customers, which is more than can be said for land-based casinos that are part of a conglomerate. So, now that you know about casino conglomerates and what they could possibly mean for your bankroll, all that’s left is to decide how to spend your money wisely. Head over to CoolCat Casino, where you can play some of the most popular online casino games on a trusted online platform. And, to make the most of your bankroll, check out free play mode, which allows you to practice your favorite games like American Roulette, Blackjack and Jacks or Better at no risk! 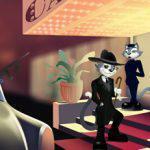 When you aren’t worrying about learning the ropes of a game, you can spend your time having fun at CoolCat Casino!